It was around 1:30pm and the place was pack like mad. You see tons of people standing beside the table waiting (and giving pressure) for that table to finish and leave. It was scary. Amazingly, we manage to secure a table and most of the stall owner here seems to know our friends. Yay !! for connections. 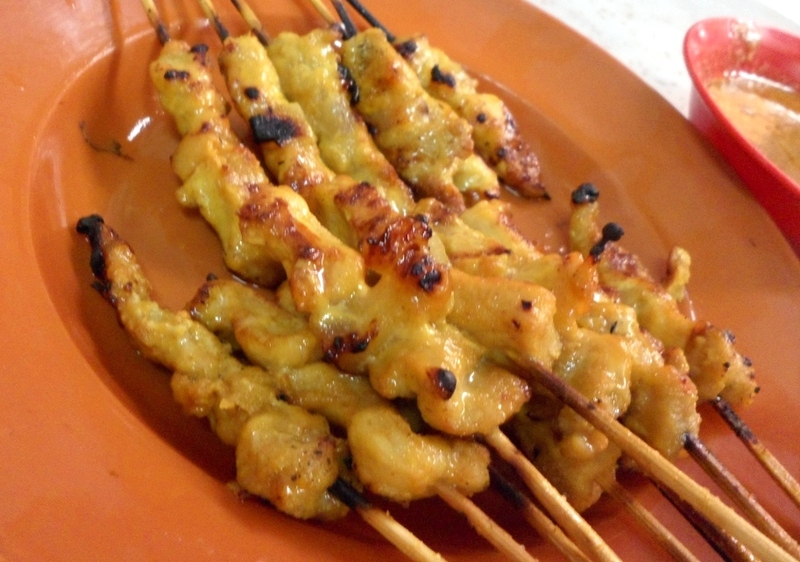 Hehehee… we got served pretty quickly and the satay stall guy kept coming back to load us with FRESH hot batches. The pork satay was really good. The sauce was really nice but I would have prefer if it is thicker. That way, the sauce would clung onto the satay better. We shared 2 bowls of the Ipoh hor fun between the 5 of us. Unfortunately, I didn’t manage to get any photo as my fingers were sticky from the tons of satay we wallop. (I think we ate about 60 sticks !!!). 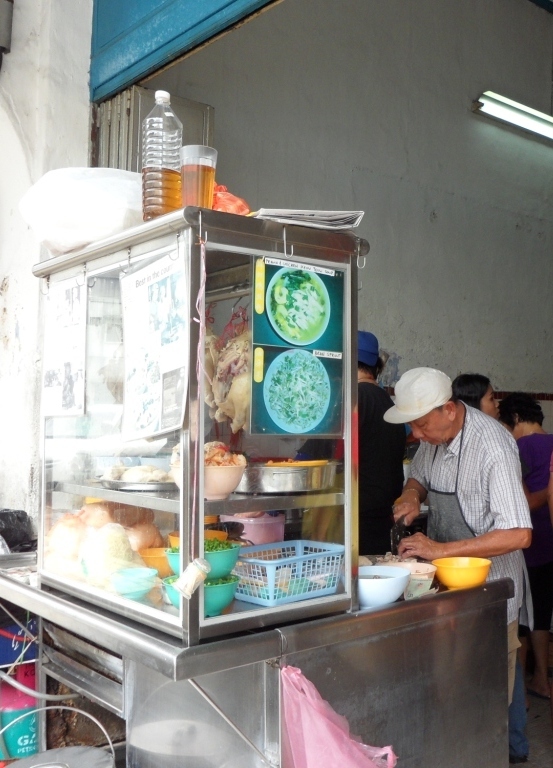 Aside from the famous Ipoh Hor fun, this shop is also famous for their egg custard. Sadly, they ran out that day… NooOOOooo… (I was pining to sink my teeth into this famous egg custard since day 1 when she told me about it). But, all is well (in chulet’s world)… as I had the chance to try the next best egg custard in town.